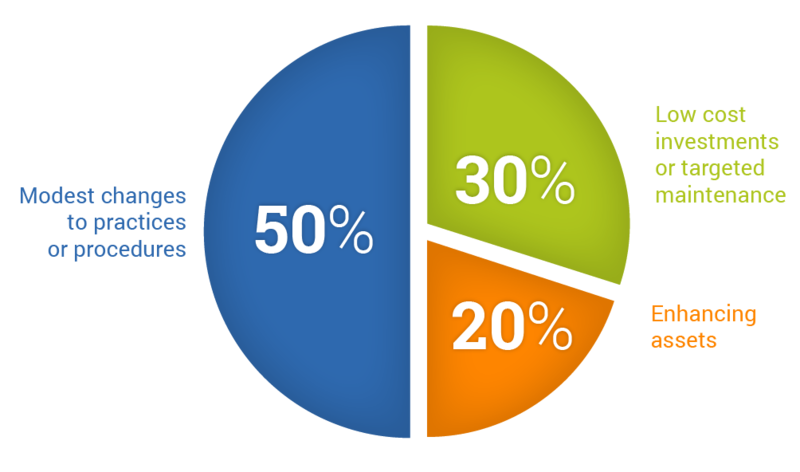 Op-Smart improves all areas - from productivity to risk management. Average results 12% - just 1% improvement pays for the system. “If you can’t measure it, you can’t improve it. Everyone gets some improvement." Customer A immediately began to see the opportunities for efficiencies during transitions (mold set-up, change, adjustments) and shift change. 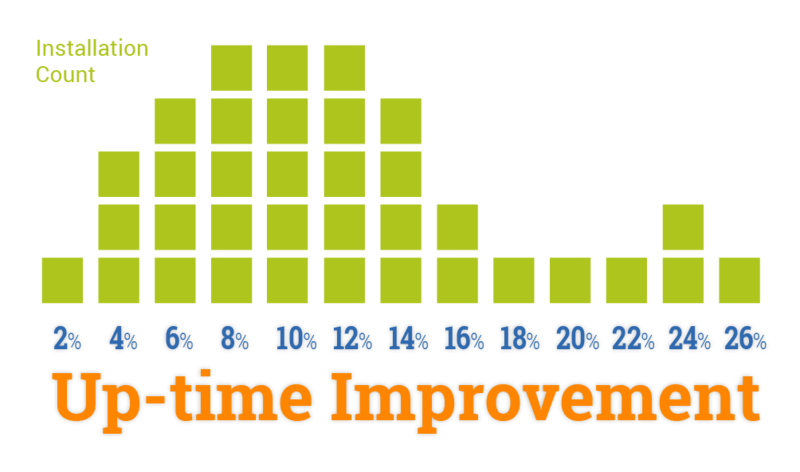 Implementing Op-Smart improved UpTime from 59% to 73% - a 24% improvement. Needless to say, pilot was considered a success and implemented in 5 additional plants.